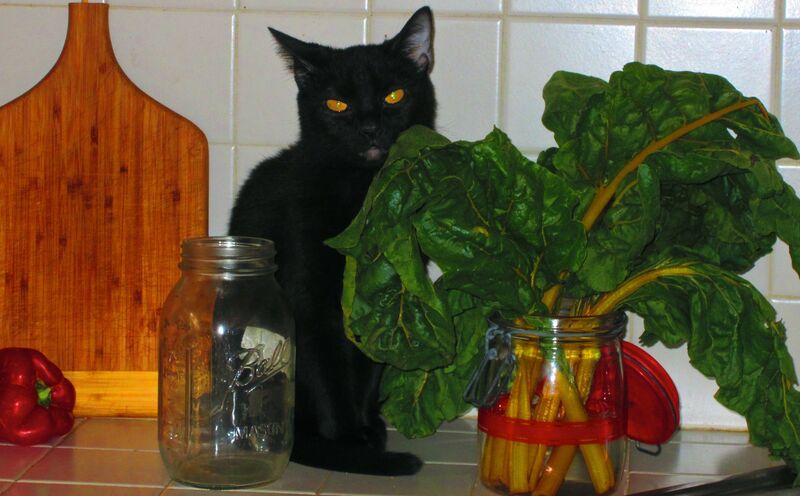 Topaz, who is not Swiss chard, is fooling no one, which I mean me. This entry was posted in our furry overlords, Uncategorized. Bookmark the permalink.